Steve Buscemi to me is like one of those Christopher Walken types. I hate to make the comparison but men like him and Walken usually play varied roles and they invariably share one commonality- they make it their own. In fact, their signature styles are what makes them great fodder for comedic impersonators and more importantly, adds a touch of realistic dramatic gravitas for their reel personas. 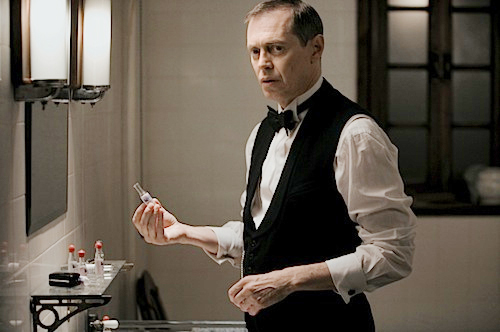 Personally, I’m interested in downloading catching Buscemi in John Rabe. Fingers crossed for the DVD when I check in at the local Borders Bookstore later.